China wants to build stronger partnerships within and beyond the five BRICS countries during the upcoming BRICS Xiamen Summit, Chinese Foreign Minister Wang Yi said in Beijing Wednesday. 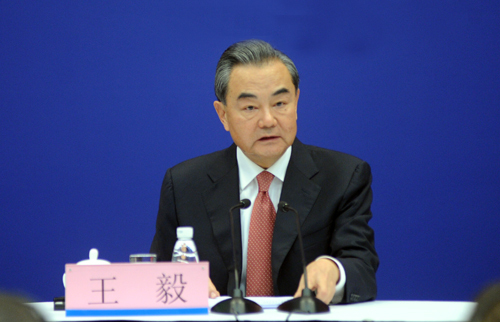 Speaking at a press briefing on the summit, Wang said that China expects outcomes in several areas, including strengthening economic and security cooperation, increasing cultural and people-to-people exchanges, enhancing institutional building, as well as promoting stronger partnerships with other emerging market countries and developing countries. China will hold the BRICS Business Forum from Sept. 3 to 4, which will be the largest so far, Wang said. Chinese President Xi Jinping will attend the opening ceremony of the forum and deliver a keynote speech, reviewing the progress that BRICS countries have made in the past ten years and looking to the future. Leaders of some other countries will also address the forum. The BRICS Xiamen Summit opens on Sept. 4. Xi will chair a small meeting of BRICS leaders, discussing world economy, global governance, international and regional hotspot issues, and national security and development. A larger meeting will focus on deepening cooperation, promoting cultural and people-to-people exchanges, as well as enhancing institutional building. The BRICS leaders will also attend the opening ceremony of the BRICS Cultural Festival and Photo Exhibition, a meeting of the BRICS Business Council and a signing ceremony, which will be followed by a welcome banquet hosted by Xi and his wife, Peng Liyuan. The BRICS mechanism has entered a new stage featuring the three pillars of economic cooperation, political and security cooperation, and people-to-people exchanges, Wang said. He added that there will be an increase in cultural activities involving BRICS countries this year as China holds the BRICS chairmanship. China held the 2017 BRICS Games in its southern city of Guangzhou in June, marking the first comprehensive multilateral sports and cultural exchanges under the framework of BRICS cooperation. China has also held a media forum, film festival, traditional medicine meeting and young diplomats forum, to promote friendship and understanding between the peoples of BRICS countries. "The leaders of the BRICS countries will continue to accumulate consensus on strengthening people-to-people exchanges during the upcoming BRICS Xiamen Summit," Wang said. Xi will chair the Dialogue of Emerging Markets and Developing Countries on Sept. 5, which will be attended by the leaders from the five BRICS countries, as well as the leaders of Egypt, Mexico, Tajikistan, Guinea and Thailand. "It is in the interests of all sides to strengthen cooperation among emerging markets and developing countries through the BRICS platform, therefore China has proposed the 'BRICS plus' concept based on past experiences," Wang said. Xi will hold a press conference after the dialogue to summarize the outcomes of the BRICS Xiamen Summit. "China stands ready to work with other BRICS countries to make BRICS cooperation bigger, stronger and more solid to benefit not only the five BRICS countries, but also the whole world," Wang said.